Financial transparency is an essential part of any marriage but not a lot of couples understand what it is exactly and why it is important. There are a number of things married couples need to focus on to help their relationship grow and mature and their finances is one of them. It is important to take note that money talks should happen well before the wedding. Couples planning on getting married should be talking about their finances before they tie the knot. Transparency with their finances begins way before they decide to get married. However, it should not end there. This is a continuous process you need to work on as a couple. It can even help your relationship prosper over the years. Once you get married, you need to make sure that you do not hide anything from your spouse. This is why it is important to have a talk right before tying the knot. You need to lay out all the cards on the table so you both know how to move forward. It is important to be transparent with your partner to have a lasting relationship. 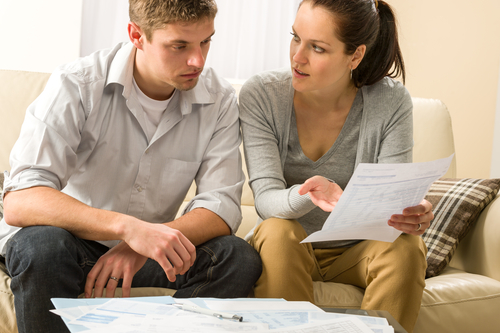 Debt problem is one of the areas of financial transparency you need to know talk about with your spouse. This helps you gauge how you will best manage your income as you address both of your payment obligations. Once you marry the other person, you now have to work together in paying down both of your financial obligations. Financial transparency also involves the other side of your budget which is your income. Apart from knowing what you need to pay every month, you have to know what your combined income is. This will help you put together a repayment plan. You will understand if you can afford to meet all your payments or if you need to make adjustments with your finances. Transparency with your finances is not only constrained with income and expenses. You also need to talk about your financial goals. This is the direction you both need to go and aspire for. The financial decisions you make regardless of whether big or small should lead you closer to your goal. Much like how a ship is at sea. It travels day and night but it reaches its destination because it has a heading. Why is it important in a relationship? Financial transparency is important in marriage. This serves as one of the cornerstones of an honest relationship. You need to be able to trust your spouse just as they should be able to trust you. It is a two-way street and you need to nurture this part of your relationship. The more you hide things from your spouse, the more cracks you are putting in your union. One day, these cracks will shatter and break your marriage. What can happen if you start hiding money from your partner? With all the reasons not to hide financial matters from a spouse, there are still a lot of people who do it. It might be acceptable if you are trying to surprise your partner and trying hard to save extra money for them. However, the general rule still stands that when it comes to married couples, you should never hide anything from your partner. Once you choose to do so, there will be consequences. Here are some of the things that can happen from that wrong decision. Financial transparency is important if you want to avoid getting into serious debt. It is important to see eye to eye especially when you are both trying to manage your finances. Your spouse might be trying hard to save money while you are focused on home improvement. As one tries to save, the other is spending on things for the house. If you do not know what the other one is doing, you can get in debt real quick. You both could be spending for different things not knowing you are already acquiring some serious debts. Another scenario you could be looking at is missing payments. Both of you might think that the other already paid but end up missing the due date. As a married couple, you need to work towards a common goal in life. If you do not have any financial transparency in your marriage, you could end up missing that goal. Each of you could be working towards separate goals and targets. As a result, it takes a lot longer time to get to that goal because you are not working together. One of the reasons why people get a divorce is because of financial problems according to an article in Business Insider. If you and your spouse start to argue because you do not know what the other one is doing financially, this can start fights and misunderstandings. It can lead to more serious problems and eventually lead to divorce. Now that you have an idea of what being transparent financially means and how it can destroy your marriage, here are a few which can help you include that in your relationship. Regular communication is vital in your efforts of being transparent with your partner. You cannot expect them to know everything you are thinking or planning or if you do not talk to them. Communication is key not only with your finances but with your whole marriage as well. The both of you needs to know what the other one is doing so they can either support or call out mistakes. As you improve on your communication as a couple, you can talk about your budget as well. As a married couple, you both need to decide and agree on what your budget will be. This seems easier said than done. It is because, for one, you have to talk about your income and expenses in detail. This will help you put a budget together. After you create your budget, you need to agree on the limits you have to set. How much is your budget for food, transportation, and even for date nights? Once you have a budget and your limits, you need to start being creative. You might either want to look for ways to increase your income or cut down on your expenses. In everything you do, it has to be geared towards a common goal. Much like how you budget your finances, you need to do the same thing with goal building. It is important in your relationship to aspire for common goals. Working together helps you communicate more often and makes you both transparent with each other. Financial transparency is an important area in a married couples life in order to help sustain the relationship. Having common goals and knowing what the other partner is doing gives the marriage a chance to move in the right direction. As you do this, you grow together as a strong couple who can weather whatever storms life throws at your marriage.